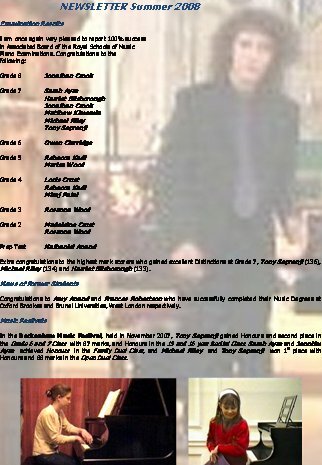 Newsletters are issued from time to time giving details of examination results, recitals and concerts, music festival successes and news of past and present pupils. 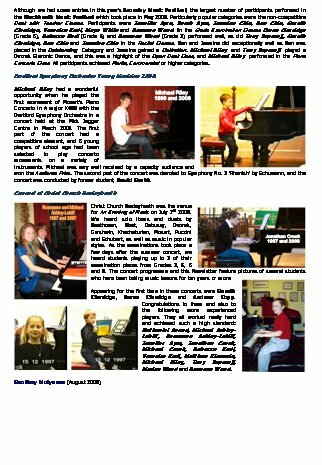 The latest newsletter is from September 2013. Click here to see another sample newsletter.